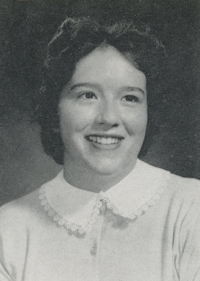 Obituary – Kent, Judith Ann (Toone) « Perry High School Alumni Association, Inc.
Red Hots 57-59, Class Assemblies 57-59, Glee Club 56-58, All School Revue 56-57, Library Staff 58-59. Judith Ann Kent, 68, of Perry was born on October 31, 1941 in Del Norte, Colorado to Wilbur Morris Toone and Pansy Mae Reynolds Toone. 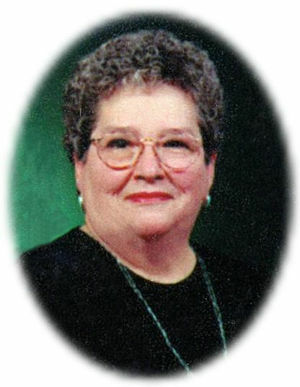 She passed away on Thursday, January 28, 2010 at Stillwater Medical Center. Judith married George Leon Kent on December 31, 1959 in Perry, Oklahoma. She was a 1959 graduate of Perry High School. She enjoyed taking care of her grandkids and watching them in sports and reading her bible. She was a member of the First Baptist Church. Funeral services will be 2:00 p.m. Monday, February 1, 2010 at the First Baptist Church. Brother Aaron Summers will officiate. Interment will be in Grace Hill Cemetery. The family will receive friends from 6:00 to 8:00 p.m. Sunday, January 31, 2010 at BrownDugger Funeral Home. Memorials may be made to the American Cancer Society. Judith is survived by her husband George, of the home two sons Gregg Kent of Perry, Oklahoma, and Kevin Kent of Oklahoma City, Oklahoma two daughters Dana Kent of Ponca City, Oklahoma and Allison Kent of Perry, Oklahoma two brothers Wilbur Sonny Morris Toone, Jr. of San Antonio, Texas, and Ronnie Toone, of Yukon, Oklahoma three sisters, Sherlyn Badders of San Antonia, Texas, Sandra Rogers of Wichita, Kansas, and Sherydee Toone of Perry, Oklahoma five grandchildren Jordan Enloe of Perry, Oklahoma, Mariah Enloe of Ponca City, Oklahoma, Rachel Horton, Titan Horton and Creede Smith all of Perry, Oklahoma. She was preceded in death by her parents, and her brother Harold Brothers.